A mix of youth and experience helped Arsenal through in the Carabao Cup. 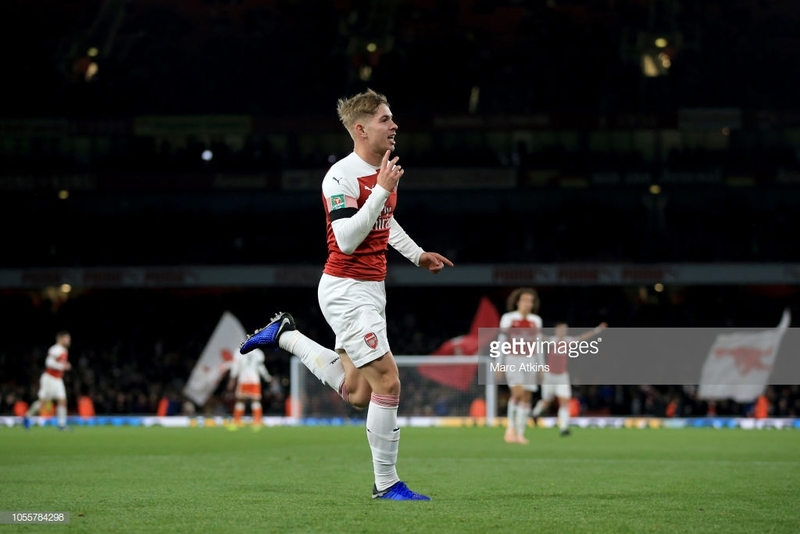 Goals from Stephan Lichtsteiner and Emile Smith-Rowe helped ten men Arsenal get through a tricky cup tie against Blackpool. Both teams finished the game a man down as Matteo Guendouzi picked up two silly yellow cards and Blackpool's goal scorer, Paulie O'Connor saw a straight red for his scissor style tackle on substitute Pierre-Emerick Aubameyang. In a game where Arsenal dominated for the majority questions still need to be asked about their defence, especially from set pieces as Blackpool could've had two or three from dead ball situations. Arsenal dominated possession and they eventually broke down Blackpool's back line as Guendouzi zipped a ball through to Lichtsteiner as he slid to get his left boot to the ball and guide the ball into the bottom left corner. The finish was a lot more difficult than the full-back made it look as he placed it right in the corner and used the pace on the ball from the pass to get it past Mark Howard. That shot was to be the first and only shot of the half which took the Gunners more than 30 minutes. As the half drew to a close Ainsley Maitland-Niles whipped in a perfect cross to Aaron Ramsey but the Welshman couldn't control the ball to keep it from going over as Howard watched it sail over from less than five yards out. 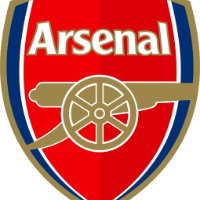 Within five minutes of the second half, Arsenal had doubled their lead as Carl Jenkinson sliced his cross which forced Howard to claw the ball away. It then fell to Smith-Rowe who hit his shot into the ground and into a nearly open net. Blackpool almost got themselves back into the game three minutes later as centre-back O'Connor got to a cross ahead of Petr Cech but could only watch his header crash back off the bar. The Gunners should've extended their lead as Shkodran Mustafi lost his marker from a corner but could only glance a free header wide of the Blackpool goal. The game seemed to be calming down after a frantic ten minutes until O'Connor caused Arsenal problems from a corner, but he made no mistake this time and buried his header into the bottom corner to make it 2-1. Blackpool had the ball in the Arsenal net again as Cech was caught on the ball which left Nathan Delfouneso with an open net but he was flagged rightly offside. Whatever slight chance Blackpool had of forcing this tie to penalties was all but vanished when goal scorer O'Connor was sent off in the 83rd minute for a rash tackle on Aubameyang.